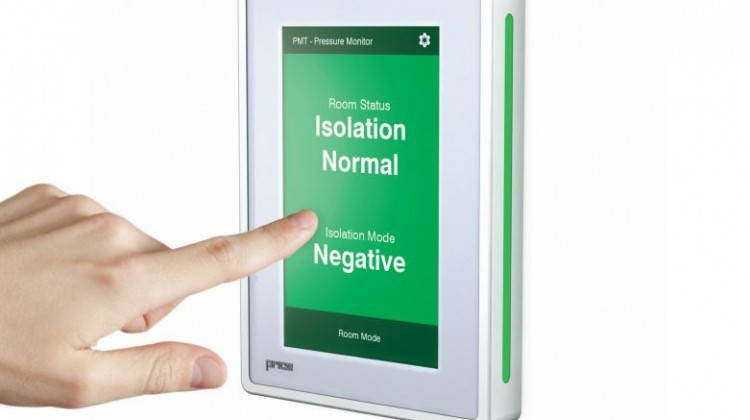 Price Critical Controls have introduced the industry’s highest resolution Touchscreen Room Pressure Monitor (PMT) with a maintenance free pressure sensor. The PMT will be fully supported by Price Critical Controls’ experienced application engineering team and global representation and will provide intelligent room pressure monitoring of critical environments with BACnet communication (BTL Certified) to the building management system. Additionally, the touchscreen display features visual and audible alarms that signal unsafe conditions with illuminating sidebars, providing 180 degree visual status from anywhere in the corridor. For more information about the industry’s first maintenance free pressure sensor please, Contact Us.